We bought a new house with a beautiful backyard. I wanted to add some color and festivity to it. I bought two strands of these. They look great. Not too bright, just a colorful glow. I love that they are solar powered. These lights ate more versatile than I thought they would be! Many ways to put out and versatile ways to show off a special area. Solar powered, they enhance security. 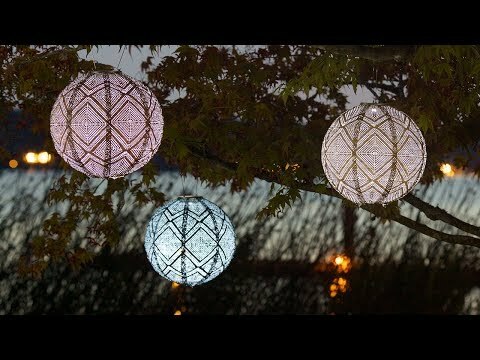 Love these lights because we can hang them in the trees and place the solar cell on the group where it can soak up the sun. They are beautiful and sturdy. These little lights solar lights at that. I love them and so do my neighbors. Got many compliments on them. 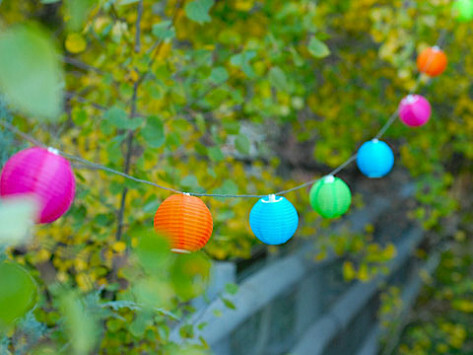 After Christmas I will put them on the trees in my back yard. I plan on getting more. Would recommend these for year round use. This is not a complaint of the product in that they are amazingly cute and well designed. I wrote and said that one came charged and one was dead. I’ve tried several times to get it to start, and it hasn’t. I think I would like to take off the solar panel back and see if I can replace the battery and see if that works. I’m familiar with that process in that I have border lights that I’ve had to change or charge. If you would rather I not do that, you can let me know.